It's not easy being a Eurovision fan from Montenegro, unless you simply already settled with just seeing your country take part. 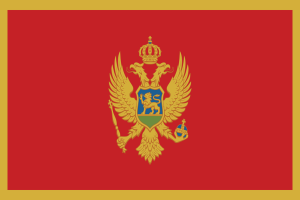 Montenegro debuted at the contest in 2007 by Stevan Faddy, and they have only reached the final twice in nine appearances. Coincidenntly, it happened twice in a row that the country made it to the final. First time in 2014 where Sergej Ćetković finished 7th in the semi-final and 19th in the final. The year after, Knez improved that result as with the song Adio, he came 13th, and secure Montenegro their best Eurovision result.